A Rare Sears Glen View Model in... Glenview! 1038 Golfview, Glenview. Photo courtesy of Nina Yoo. "Who would not take pride in being pointed out as the owner of this beautiful Colonial home?" asked the 1936 Sears Modern Homes catalog. 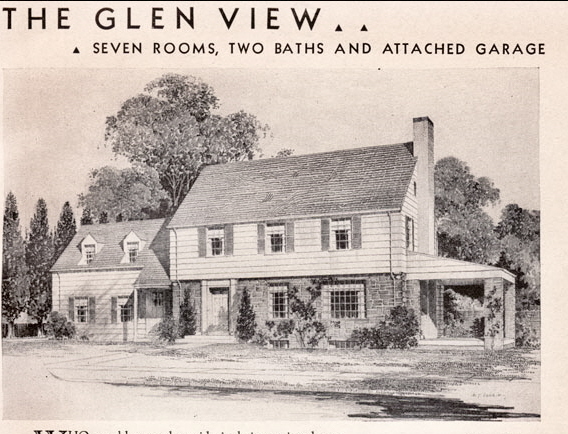 Sears featured the Glen View model throughout the Depression in its 1933, 1936, and 1937 catalogs. This particular Glen View was built in 1932. The Glen View is a huge, beautiful house that requires a 100-foot wide lot. It is a Garrison Colonial, a style that was very popular during the 1930s. Basically, it's a colonial where the second story overhangs the first story. It has an attached double car garage, four large bedrooms, two full bathrooms upstairs, and a half bath on the main floor. "Kitchen is sunny, well equipped and very efficient. The long living room has a beautiful bay, book-shelves, fireplace and French door," according to the Modern Homes catalog. Sears sold the Glen View "not already cut." This meant that the lumber was not pre-cut at the factory. Sears sometimes did this for the larger homes in an effort to keep the price down. This is a very rare Sears house and is likely the only one ever built. In the period when the Glen View was offered for sale, Sears was selling only a few hundred houses a year on average. I would bet that most of the houses sold during those years were the popular models that had sold well for years, not the pricey Glen View. 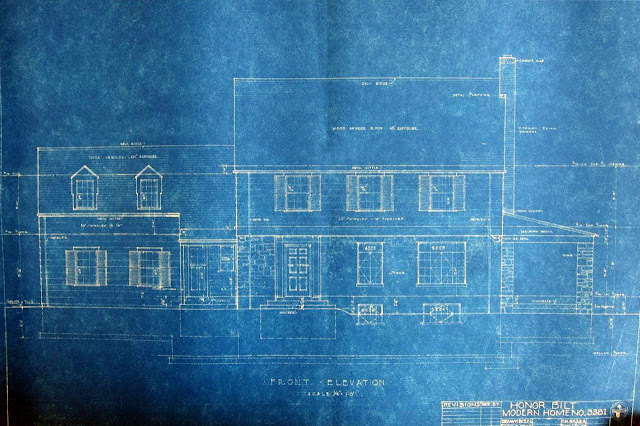 Original blueprints for the Glen View model. This particular house overlooks the 17th hole of North Shore Country Club. The house has had dormers added and the two porches enclosed. The garage was changed to a front entry. The shutters are gone. The original owners were David S. and Esther Betcone. David was the head of the architectural service at Sears Roebuck. They paid approximately $18,500 for the house. 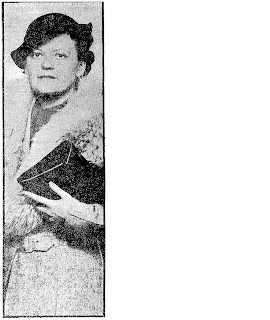 The next owners were Dr. Charles W. Crowe and his new bride, Mary Jane. They were married in 1936 and were living in the house by 1937. He was a dentist with an office in Evanston. That big house must have been a lot for Mary Jane to take care of because they had a live-in servant listed in the 1940 census. Mary Jane Crowe in 1936. Photo courtesy of the Chicago Daily Tribune. In 1951, the Crowes moved to Fort Wayne, Indiana. The new homeowners were Howard Dudley "Dud" Murphy, his wife Dorothy, and their three kids. Dud was a partner at Price Waterhouse & Co. He also served as president of the Executive Club of Chicago. In 1967, the house was purchased by the Hodur family. They lived there until 1996.